and it has become common place in almost every office. 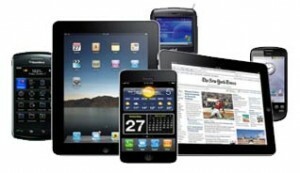 Smartphones and Tablets get are here to stay and they can cause some real concerns for employers. Each device that connects to your network is a potential security threat. Lost or stolen devices can be a bigger problem. How do you protect the data on a device once it’s been stolen? Mobile Device Management or MDM, that’s how. MDM allows us to completely erase lost or stolen devices. It also lets us set up some rules to keep your network secure. Even better, MDM allows ICS technicians to remotely configure the device. In minutes we can troubleshoot a problem and get your device back up and running. Mobile Device Management isn’t just convenient, it’s absolutely necessary to protect your data.